Patrick Henry College seeks to recreate the original American collegiate ideal with fearless learning for Christ and His Truth. We train young leaders in the American and classical traditions with our core curriculum while centering all truth on the person and work of Jesus Christ. Hands-on apprenticeships cement classroom instruction in the areas of Government, Journalism,Literature,History, or Classical Liberal Arts. Patrick Henry College's classical liberal arts education will teach you what it means to be a human being. 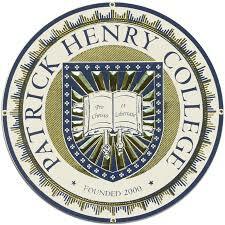 Learn more about Patrick Henry College at http://www.phc.edu/. Connect with our profile on CollegeRecon! Po Box 1776 One Patrick Henry Circle.